NumisMedia Monthly - April 2011 - Collect or Invest? �����The focus of the coin business for the last few years has been in modern bullion coins essentially because of the rise in the price of metals and a lackluster economy. At the same time however, we have monitored a slippage in premiums for classic U.S. Gold coins dated prior to 1930. With all the new buyers concentrating mostly on low premium gold, we have seen demand fall for earlier U.S. Gold. This has created a vast pool of excess supplies that has forced dealers to lower their premiums to try and compete with the modern coins. �����The following charts show prices for common $50 Gold Eagles in MS69 and $20 Saints in MS63 and how they have shadowed the Gold market over the past seven years. You will note that the premiums for the $50 Gold Eagle have been fairly consistent since Gold mounted its charge beginning in 2007. In addition, the MS63 Saint attained a rather large premium in 2010 because the demand for all Gold increased with dramatically higher bullion along with a struggling economy. �����Supply and demand always dictates the premiums. As the price of Gold began to rise intensely from 2007 and thereafter, demand for Saints was strong and premiums were significant. With the $50 Gold Eagle, premiums have been equally steady after 2005. Nonetheless, the first chart shows how the premiums started dwindling after January 2010 and the next year Saints had an FMV that was just 38% above the value of one pure ounce of Gold. This downturn in premium can be attributed to the fact that more buyers were putting their money into modern Gold coins acquiring the metal closer to its weighted value. In order to compete with modern Gold coins the MS63 Saints (along with all earlier generic Gold) had declining premiums. With competition being as aggressive as it has been recently, premiums could remain low for some time. �����Keep in mind you do not get a full ounce of Gold in the $20 Saint; another reason that investors have concentrated on modern gold coins instead of collectable U.S. Gold. 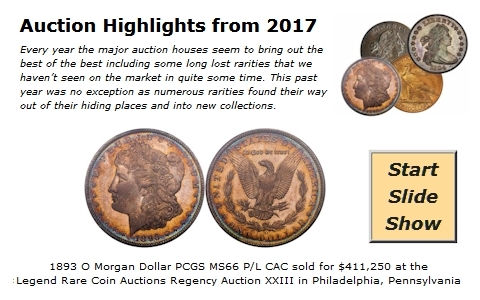 However, with premiums this low for much of the common U.S. Gold coins, many dealers think it is just a matter of time before these coins will head back toward normal historic levels. Which is it going to be, collector or investor? The coin market has transitioned over the last few years with much of the trading occurring in modern bullion coins. However, what are the long term consequences of this trend? Who will be better served; the collector or the investor?